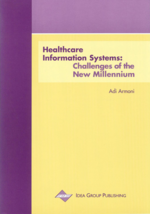 This chapter outlines the major issues related to the security of medical information systems. Medical information systems are unique in this sense that integrity of the records and privacy issues are dominant. The presentation includes the formulation of the basic medical information security tenets as well as the discussion of the major components of the security subsystem: patient identification, access mechanism, reference monitor, communication subsystem and database subsystem. Also examples of privacy law are quoted and discussed.